The Progress-Focused Approach: Meaning and motivation in work: what is the role of managers? Meaning and motivation in work: what is the role of managers? In this video, Ed Deci, co-developer of the self-determination theory, explains that we, as parents, teachers, coaches and managers should not try to motivate people but instead can try to create the conditions within which people can motivate themselves. People are not like, so to speak, empty vessels in which we have to pour motivation. People are naturally motivated to explore and try to understand their environment and to try to make useful contributions. If you still treat people like motivation-less creatures into which motivation has to be pumped you will inevitably create resistance because you disregard their already existing motivation and their ability to further motivate themselves. These were some things I was reminded of when I read about a new study by Katie Bailey and Adrian Madden. They interviewed 135 people in various occupations about situations and times in which their work had been meaningful to them and situations and times in which it had been meaningless. One of the surprising things which became clear from the interviews is that they seldom mentioned good leadership as a contributor to the experience of meaning in work. They did, however, say that managers could undermine the experience of meaning in work. 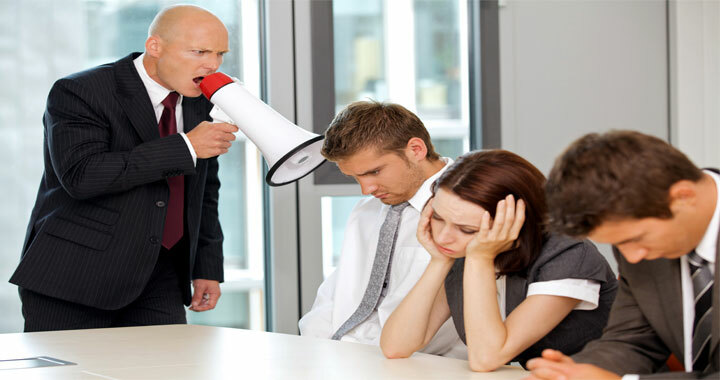 The potentially thwarting role of managers happens when people are coerced to do things which are in conflict with their personal values, when their personal judgments are overridden or ignored, and when supporting relationships are disconnected. Managers should not ask of themselves to create motivation or meaning for people. Instead they can focus on supporting people in their own process of creating meaning and motivation in their work. This begins by taking seriously and harnessing individuals' interests, values, perceptions, judgments, and relationships. Also, managers can support individuals in the way they motivate themselves. They can do this, for example, by asking them to reflect on their own work and on processes and goals of the organization. And finally, when managers make a request from an employee, they should explain clearly what the.y reason for the request is so that the people having to do the task can understand why the task is important and, perhaps, also fits with their own values. This is really beneficial, the role of manager or any leader is really appreciable, he or she will able to bring perfect changes in our personality and thoughts through their motivational instructions. Especially in the workplace, we need a strong manager, so that employees are easily motivated and perform to develop their organization. We can also follow different types of coaching programs such as; leadership coaching and performance coaching to develop our skills.